I studied painting at Sydney College of the Arts but started working with clay 6 years ago. You can make almost anything out of clay which is what I love about it. 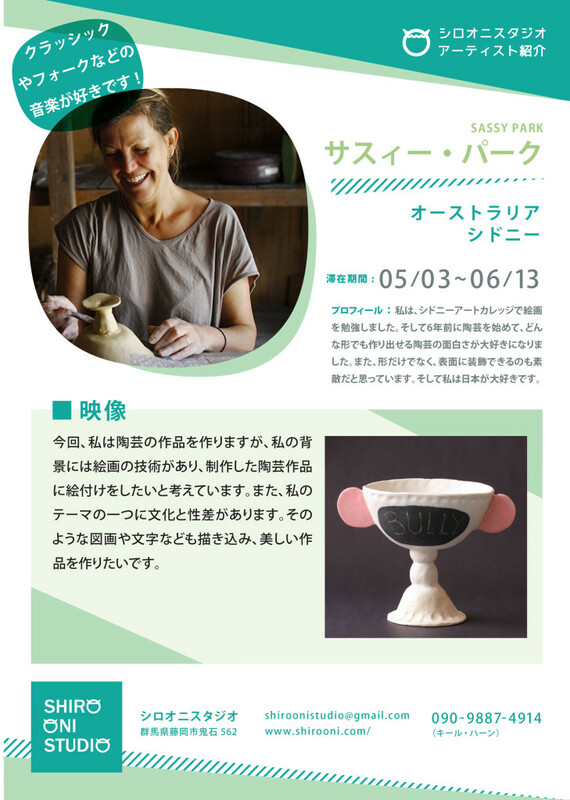 Japan offers not only the long and honoured tradition of ceramics but also a new country for me to experience. My small observations of what I see and feel around me in Onishi will find their way on to my pieces, making my thoughts permanent in ceramic.